RUSH: Here is Linda Vester last night on the Variety magazine website. They released an interview. She used to work at Fox News. She had a live audience show at one in the afternoon. She’s worked for NBC over the years as well, and she quit because she wanted to stay at home and raise her babies. And she did that, and I don’t know why now, but I guess it’s all part of the #MeToo movement. Here’s a portion of the video that Variety ran on their website. 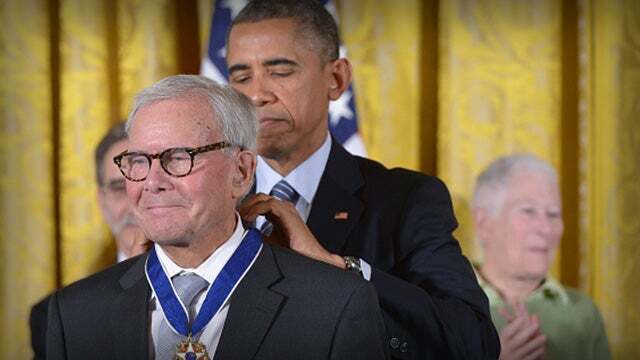 VESTER: I was groped and assaulted by Tom Brokaw. He reached behind my head and tried to force me to kiss him. I stood there for a couple of minutes and just shook out of sheer panic. Because of his power, I was availability talk about it. So I was silenced. BREAM: Being in this business and knowing plenty of other women in this business I have heard other similar allegations against Brokaw. So it will be interesting to see what comes of this. RUSH: Yeah, it will, but why now? I mean, Brokaw’s been retired for I don’t know how many years, as has Linda Vester. (interruption) No, no. I’m not judging anybody. All of this… Maybe it’s the Cosby verdict. I mean, it could be anything like that. By the way, speaking of Cosby, do you know who was the first African-American…? It wasn’t Kanye West. Do you know what the first African-American was that opened up and criticized leftist rap music/culture, and what’s happening in poor black neighborhoods? Do you remember who the first prominent African-American to do that was? Dadelut dadelut dadelut. That’s exactly right. It was Bill Cosby. Now, it was many moons ago. But they’ve been chasing Cosby for many moons as well. (interruption) Well, it might be when the trouble started. I just recall that.